Medical cannabis companies are the next big thing, right? Here's why you should steer clear. 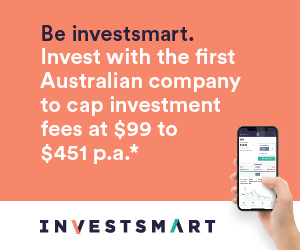 Qantas's (ASX:QAN) stock is up more than Tesla's in the past two years. Noni B (ASX:NBL) is up more than Amazon. Dell has outperformed Apple. If these statements surprise you it's probably because you're falling for the ‘availability heuristic'. How often did you see an iPhone this week compared to a Dell desktop? And when did you last read 'Noni B disrupts entire industry'? It's natural to assume that a company's stock will track the company's progress, and the company's progress will be intimately tied to that of its industry. It's easy to forget, however, that investing results are not only a product of company performance, but company performance relative to investor expectations. Two years ago, investors expected little from Dell, Qantas and Noni B, but thought the world of Apple, Tesla and Amazon. Noni B got a winner's party just for surviving another two years; Amazon needs billions more in product sales just to catch our attention. There are plenty of companies that have investors fixated today but one glaring focal point is surely medical marijuana stocks. Several have listed on the ASX over the past few years, either in production, distribution or research. These include AusCann (ASX:AC8), MMJ Phytotech (ASX:MMJ), Creso Pharma (ASX:CPH), Zelda Therapeutics (ASX:ZLD), and MGC Pharmaceuticals (ASX:MXC). With most of these stocks down 20% or more since the highs hit earlier this year, you may be wondering if now is a good time to get ‘exposure' to this up-and-coming industry. Our advice is crisp and simple: hold on to your wallet. The industry is going to be huge, we don't doubt it. Many countries are in the process of reducing marijuana restrictions, including Australia. Cannabis is already available in 29 US states, much of Europe and South America. Canada will be the first developed country to fully legalise marijuana for recreational use in October. And most estimates are for the cannabis industry to be bigger than wine and chocolate. Perhaps counterintuitively, though, industries poised for explosive growth won't always provide the best investments. If investors are overly excited by an industry's potential, the stocks can be overpriced. It may even be that the more certain the growth, the more likely the overpricing. In the early 1990s, it was clear that the internet would be a huge honeypot but the feverish speculation that followed caused the dot-com bubble. The tech-heavy NASDAQ index was in the red for 15 years before it exceeded the high set in 2000. What's more, could anyone have predicted that Google, Facebook and Amazon would displace Yahoo, MySpace and Barnes & Noble? If you're interested in the medical marijuana industry, remember that there's a big difference between predicting substantial demand and picking the individual stocks that will benefit from it. Marijuana companies combine two of the worst possible industries: agriculture and retail. Like most agricultural products, cannabis production is capital intensive and generates little free cash flow. Even the most lucrative crop producers rarely earn returns on capital of more than a few percent. Distribution and retail has its own shortcomings – there are only so many ways you can differentiate a leaf. If you're imagining your small cannabis distributor as the next Big Tobacco company, you're in for a surprise. The fact that Big Tobacco companies earn high returns and margins has little to do with tobacco itself, it's mainly down to economies of scale and formidable brands built over a century or more. It could be decades before any cannabis companies have built strong enough brands to garner any real pricing power – more likely is that they will all fight for market share by cutting prices and, in the process, destroy any hope of profitability. Australian cannabis stocks now operate under a more favourable regulatory framework and it's a good bet that sales will grow rapidly as capacity ramps up and more countries legalise consumption. Nonetheless, picking the long-term winners in this new industry is impossible, let alone trying to predict future profitability. Anyone who tells you otherwise is probably sampling the merchandise.